YYYeeessss this is possible with the help of a small application called as Nimbuzz, which is a Mobile Social messaging application which connects and interacts with all your friends from any network, any time and any where. Nimbuzz is available in both Mobiles and PC which instantly connects to all the networks which you like. 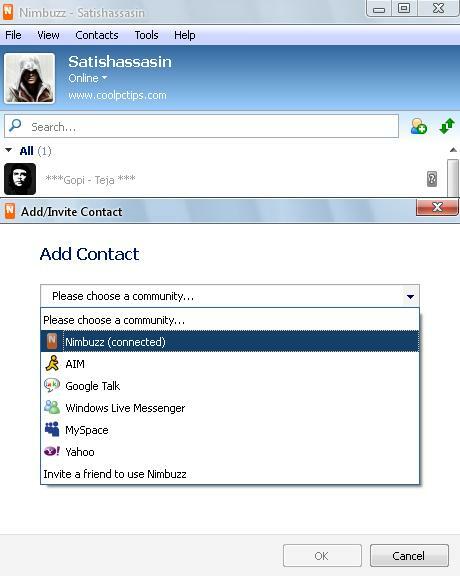 With Nimbuzz you can login securely to all the social networking sites like Windows Live Messenger (MSN), Yahoo, ICQ, AIM, Google Talk, Facebook, MySpace, Gadu-Gadu, Hyves and many more. And the best part is that you will never forget a name or number by storing all your important contacts in the Nimbuzz phone. We have seen many applications like fring, ebuddy and etc which allows us to chat with our friends very easily. 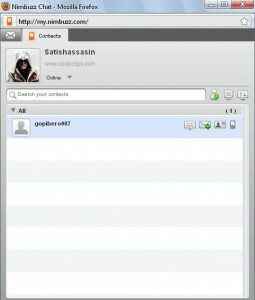 But Nimbuzz is even more effective than those applications which allows the user to even make a call from it with clients like gtalk yahoo messenger and MSN. The best part of this application is its free of cost. Lots of people are using this software and are very happy with its work. I myself has tested this application on my mobile (Samsung Corby txt b3201) which gave me instant access to all my friends with just one login, which is just amazing. As said earlier we need a java supported mobile phone and a internet connection in your phone to use this Nimbuzz. So what this can do? The best part of Nimbuzz mobile is that you can be able to connect with your friends anytime and anywhere. 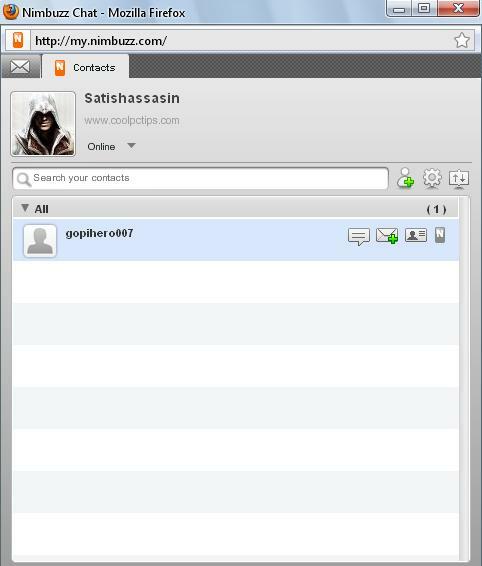 You can instantly chat with anyone who is online. 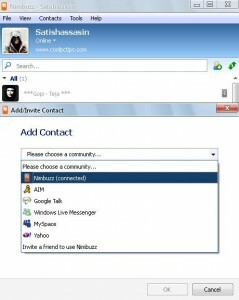 You can call a friend online with applications like Gtalk, Yahoo, MSN, Skype and etc. 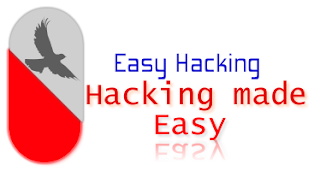 You can also send text messages to your friends for free. The best thing which i love in Nimbuzz is that we can even send Videos, Photos and files whenever you want. And install this in your mobile. Nimbuzz supports over 1000 handset models like Nokia, Samsung, Motorola….Whatever you want just name it. This unique mobile application now allows you to connect with all your friends. Just add people to your Nimbuzz account by just adding there ID whatever there are using, like you can add Google, yahoo, Skype and etc all ID’s at a Nimbuzz login and save them so that you can connect with them everytime they are online.You can also save lots of money by calling to landline by buying credits from Nimbuzz which are very less compared to anyother Network Provider. No Mobiles and No Need of a Nimbuzz Client all you need is a web browser and a Nimbuzz account which can allow you to login in your account and have fun just like your normal Nimbuzz Client have. You can visit here http://www.nimbuzz.com/en/web any time and have access to your Nimbuzz account. You can visit the official page of Nimbuzz any time and clear all your queries. Orelse you can ask your doubts here.Hope you all liked the post. Please comment on the post and share this post to all of your friends.